all is done using Tono talent. Tono City in Iwate Prefecture in northeast Japan, is a nice farming area and the home to the famous collection of legends and folk stories known as The Legends of Tono. In 2004, a small group of Tono City residents got together and decided to make wooden blocks with images on them based on local stories and fairytales. 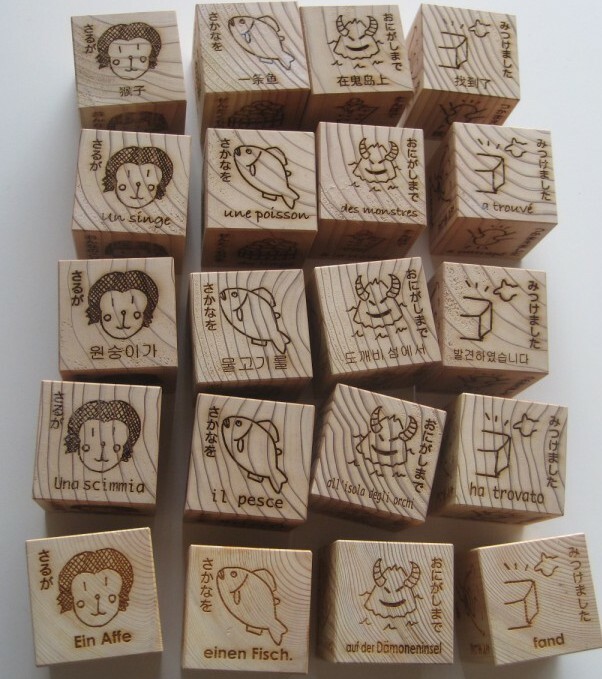 These blocks are sometimes referred to as "folktale wood cubes" or "imagnation blocks". The blocks are designed to stimulate the imagination of children by having them tell stories based on the different images on the blocks. Local wood is used to make the blocks because of its pleasant aroma and feel. 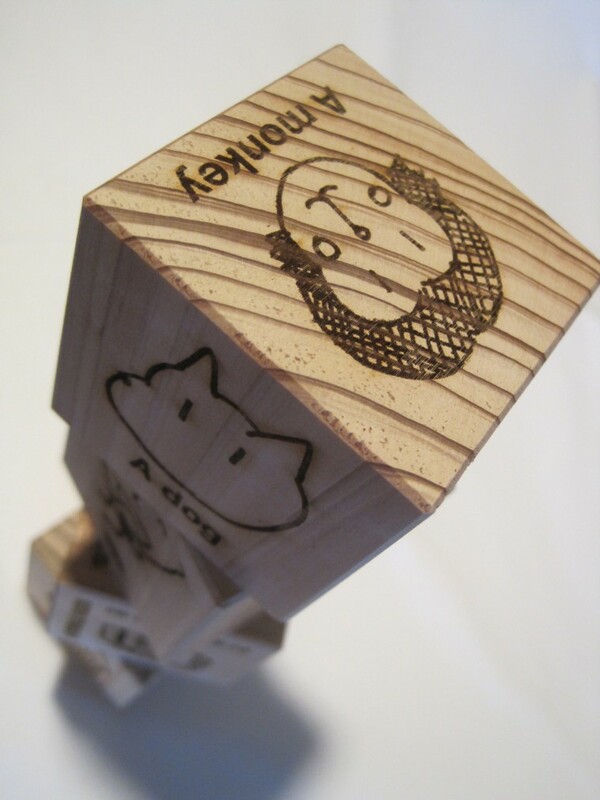 A laser is used to etch the images and story-lines on the blocks. All of this, from design to production, is done using Tono talent.